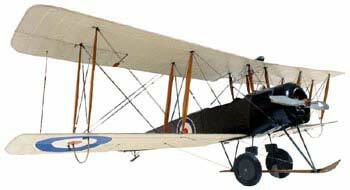 At the start of World War I the flat green fields on the western edges of Gosport became military airfields. 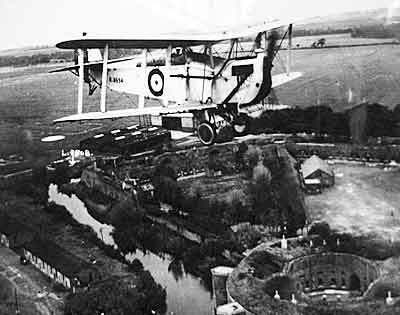 The Grange Airfield (now HMS Sultan) became the home to the Royal Flying Corps in 1914 and the base for the Special School of Flying. The Naval Training school was established at Lee-on-the-Solent at what is now the site of HMS Daedelus, where flying continues today with the helicopters of the Search and Rescue service. Aviation life at Lee on Solent Airfield began in 1917, the men and women of HMS Daedalus and its precursors, in two world wars, from the arrival of the first Short 184 seaplanes in 1917 as part of the HM Naval Seaplane Training School. and the Interservice Hovercraft Trials Unit. A variety of Allied aircraft were based here at the HMS Daedalus, at Lee on Solent. They supported the naval and ground forces on D-Day and afterwards. The School transferred to HMS Sultan 1995, and the air station finally decommissioned in March 1996. Currently, Daedalus plays a valuable role in Air-Sea Search-and-Rescue, and in Police activities, as well as about the evolving plans under the Daedalus Conservation Area and the Daedalus Development Strategy of the MOD, Hampshire, Fareham and Gosport Councils.